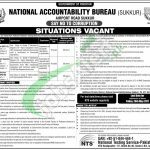 Tap this page for NAB Sukkur Jobs 2017 National Accountability Bureau NTS Form Download. Applications are being invited from the National Accountability Bureau Sukkur from the caliber, responsible, caliber and well-disciplined applicants are required for the following posts which include (Assistant, Data Entry Operator and Lower Division Clerk (LDC)) are the current vacancies which require being filled by the applicants. Appointments of above-mentioned positions will be held on purely contract basis initially which is extendable on satisfactory performance. 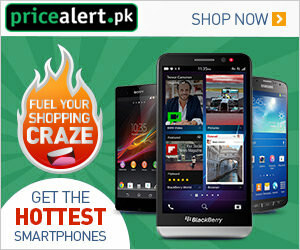 Attractive salary package will be given on monthly basis with growth opportunities on the basis of performance. Now, I will make you aware about the rest of its details given below. For Sr. No. 1 & 2 posts the applicants should be having the Bachelor's degree with 2nd Division from an HEC recognized university and for Sr. No. 3 Matric pass candidates with typing speed of 30 words per minute are eligible to apply. For all positions, age should be between 18 to 30 years. Duly filled application form along with paid deposit slip of test fee Rs. 300/- in favor of NTS and all other documents should reach the following address given below. The last date for submission of application is May 26, 2017.